The Best Digital Marketing Tools And Digital Marketing Courses Revealed! In building a full time income online, I've gone through my share of trial, error and tribulations. I've tried dozens of tools, systems and educational courses and find that 90% of the time they are complete rubbish. There are, however, a few tools and resources that I am still using to this day to build my business and this page is where you can learn what I use. ​Below you will find both the tools, the software and the trainings I used to grow my business to over $2 million in revenue online. The basics of growing your business online are simple. you need a website where you're able to publish great content that can attract visitors and also host your opt in pages and funnels. For this you need web hosting, a theme, a landing page builder, and email service provider. advanced users who are selling their own products will need a shopping cart. ​WordPress is an open source content management system that allows you to build beautiful websites, blogs, e-commerce stores, marketing funnels, etc. To run your own WordPress site you need web hosting and a domain name which you can get here. ​During checkout they offer some "upgrades" which are optional. You do not need any of the upgrades to get started and if you ever find that you need them, you can always send their support a quick email and add them on later. if you can afford turbo hosting, your site will be faster which is better… But if you can't afford it just go with the basic WordPress hosting which is going to get you started for as little as $5 per month! Click here for a video that walks you through the process of getting started with WordPress hosting and your theme... Note their checkout options have changed a little bit since (you now get a free SSL!). 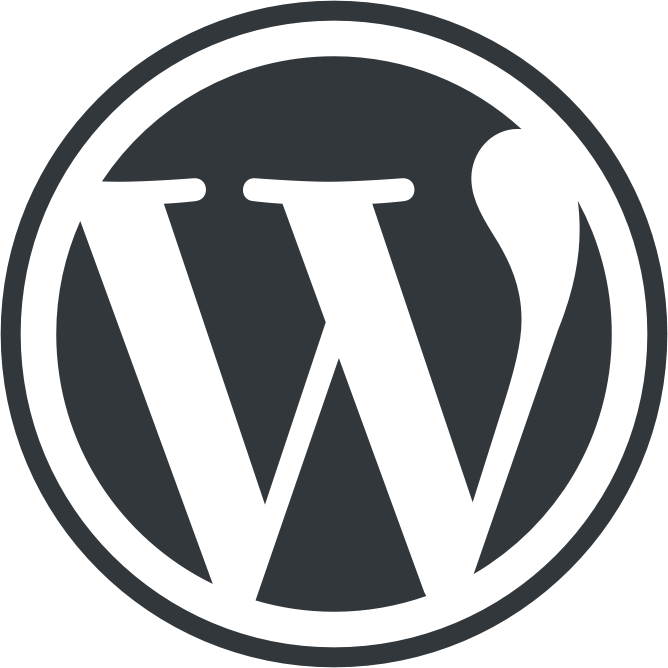 ​WordPress is a theme or template driven content management system that third-party developers are able to build on. You need a theme that has an active development team who will continue to make your themes secure an updated… While also creating the lead generation tools you need like the landing page builder. for a video tutorial on how to get this theme up and running on your WordPress hosting, click here and watch this video. ​Aweber is the must have an email autoresponder that allows you to easily build a list of prospects and customers. Plus, they must have a great relationship with the email service providers (like Gmail) so that your emails reach the inbox. Aweber is the easiest to setup and most reliable autoresponder for new marketers. - Click here to get a 30 day free trial, now! Once you have your email marketing system in place and you are ready to set up your autoresponder, watch this video for the step-by-step "how to" tutorial! This is the only search engine optimization tools that I pay for and use on a regular basis. my wife's website has received over 14 million visits from Google over the years and the biggest reason why is from doing keyword research for every post. When you create content focused on the exact keyword phrases your audience is searching, your liklehood of ranking for those keywords goes up massively. Simple stuff... And I show you exactly how to use this tool in this keyword research video. ​​​Great looking graphics is the difference between ​feeling like a rookie and feeling like a pro with your content. 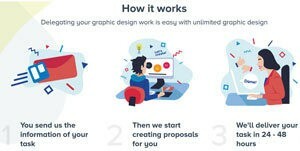 ​ ​Your graphics define your brand and user experience​... ​And most people are not professional graphics designers by trade. ​Hiring a designer in the Western world can cost you $150 per hour or more which is a deal breaker for most Internet entrepreneurs. But there is another way! ​Through this link you can get an unlimited number of graphics projects handled each month for one flat fee! Plus you get a free 15 day trial AND a 30 day money back guarantee! Whether you are growing your audience and business on the side while holding down a day job… Or you are full time with your online business... Time spent inside of the WordPress dashboard is time wasted that could be better allocated on other projects! We are all limited by 24 hours in the day and hour traffic, audience growth, email list growth and ultimately revenue are based on how much high quality content we are creating and publishing. You can leverage the WPpublishPro team to manage the layout and publishing of the content that your writing. This allows you to stay focused on writing, you send them your finished Google doc, answer a few quick questions and they handle all of the layout and design for you. You go right back to writing more great content that will attract more traffic and leads. I personally use this team to publish all of my blog posts here at milesbeckler.com and personally have helped create the system, the dashboard, the training that this team of outsourcers have leveraged to become excellent at publishing. 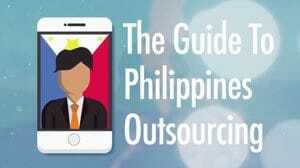 ​The Philippines ​offers a wonderful talent pool! Personally, my entire support team plus my developer, designer, audio engineer, transcriptionist and layout designer are all located in the Philippines. This course teaches you exactly how to recruit, hire, train and manage teammates and other countries to help you grow your business. But this is more than just a course… It is also the premier job board for Filipino staff members looking to support you in your digital business. When you sign up for their premium membership for one month you get the course as a bonus and you get full access to the job posting and recruiting tools from the job board! Two of my best full-time employees who have been with me for several years now came from this job board! #​8 - ​Legal Docs For Your Website! ​Every business online ​must have terms of service, privacy notices and disclaimers clearly shown on all pages. Don't trust 'free templates' for your long-term legal protection!!! They do not properly protect you! 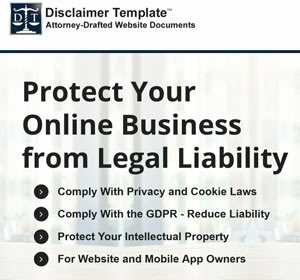 ​For my website I ​​purchased this legal document template pack designed and created by a team of attorneys and a certified information privacy ​pro. These documents are GDP​R compliant and have ​​everything you need to limit your liability while you continue to grow your business online. When you are ready to start charging for access to your video courses, your e-books, coaching, etc.… You need a shopping cart and possibly a content delivery plug-in. What you need will vary based on your business and how advanced of a tool you desire. Below I will list three options to cover the beginner options and expert options both. The eStore plugin is the simplest shopping cart for WordPress that is completely beginner friendly and is a low cost one time fee! You can sell digital products (and protect their download pages), you can sell virtual products (like coaching sessions) or even ongoing monthly membership products. You can also configure it to accept PayPal and credit cards both! They have several add-ons to this plug-in that allow it to perform advanced functions as needed, so it can grow with you and your business. Melanie and I used this exact plug-in for many years in the early growth of our business and sold hundreds of thousands of dollars of PDFs, MP3s, video courses, and one on one sessions with this plug-in! They have great documentation and support, too! This was the PERFECT launching pad for our business in the early days and is a great option for beginners on a total budget. Thrive Cart is a fully featured shopping cart system that allows you to easily create and test bump offers, one-click upsells and advanced funnel configurations. This is an advanced tool for marketers ready to optimize their funnel for maximum revenue. It is a one time fee, it is simple to use, and it offers advanced integrations with form software, autoresponders, etc. If you are interested, check out the in-depth ThriveCart review, here. 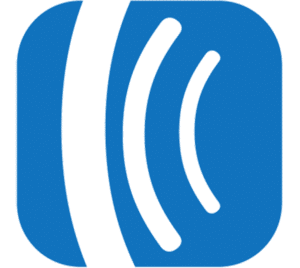 If you are selling access to a members area or downloadable content on protected pages, you will need a membership plug-in in addition to this shopping cart like Member Mouse or MemberPress. ThriveCart Professional setup option: at this level in business, odds are that your time is better spent crafting your offer then it is setting up your tech… I personally used Dave with IntegratePro.com to build out and configure my entire membership site, plus many other advanced marketing automations. SamCart is the Rolls-Royce of shopping carts for digital entrepreneurs. I use this on my largest website (based on my wife's brand) that drives tens-of-thousands of transactions per year. Their checkout pages are infinitely customizable, which is where Thrive cart falls short. For the full SamCart review, click here. In short, Sam Cart is great if branding, design, and the user experience of your checkout process is a key factor for you. Plus they are the only shopping cart system that allows you to run split tests on the layout and design of your check out pages while allowing you to split test upsell offers and downsell offers at the same time. This is seriously advanced geek-ery for conversion focused entrepreneurs. Finally, the last thing you can do with Sam cart that no other shopping cart system allows is what they call their "1 page funnel" which you can learn more about from this free webinar here. this one page funnel system and increase the results from Facebook advertising plus it offers high ticket coaches and consultants the ability to create high-converting offers that generate revenue, fast... With zero tech! 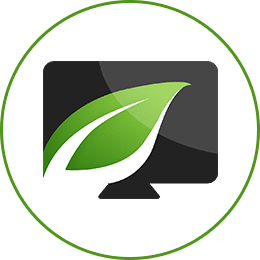 My team and I are testing a new method where we run our Facebook ads directly to the one page funnel with the goal of increasing conversions on our Evergreen products so we can scale our Facebook ad spend. This is the professional level tool for advanced marketers who value the ability to split test everything including checkout pages, up-sells, down-sells, and bump offers. ​Below you will find only the best-of-the-best courses that I've gone through and have gotten great value from. ​I only recommend products that I have used personally and recommend based on how beneficial they will be to you in growing your business to the next level. It takes a lot for a course to make this list and out of the 100+ courses I've been through, you will notice only a tiny fraction make it here. #1 - Email Marketing Course w/ 80 Email Templates! Email marketing is the CORE asset of your digital business! Running a recent audit, Melanie had over 1,300,000 emails opened in the last 90 days. I had about 150,000 emails opened! These are amazingly powerful moments of ATTENTION from your audience that can be used to deliver value and to sell products (A.K.A. This is where the money comes from)! But the big question is... "What do I send to my list?" Well, that is exactly the problem that this course solves with a complete library of video trainings AND over 80 email marketing templates that have generated millions in profit. You simply choose a template, modify it with your story, your 'bit' and send! But the course has so much more than the templates! They are just the BONUS?!?! Click here and get the email course, today. #2 - 20 Sales Letter Templates & Copywriting Training. Noticing a pattern? The top two courses are more than just courses... Learning is great, but you need to be able to get RESULTS fast. Using the right templates can be the #1 'trick' to making massive progress in your business, fast! This course is designed for you if you are selling products... Doesn't matter if they are physical products, coaching, a membership, a newsletter, a video course, info-products, etc. I've spent over $12,000 on copywriting from a 'pro' that sucked... And it took 6 months!? 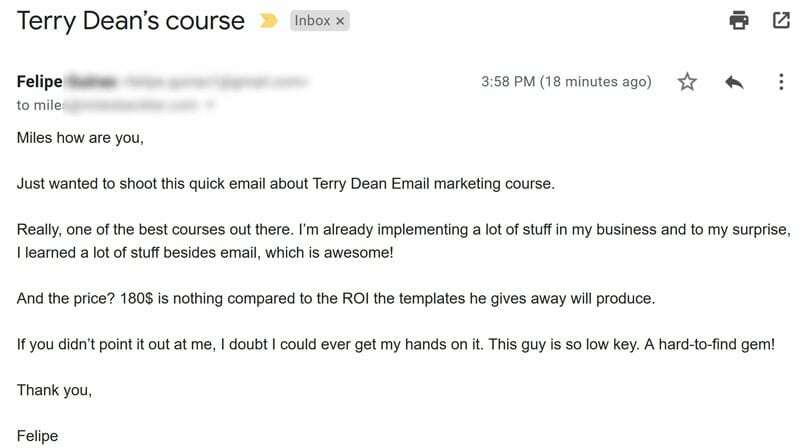 This course helped me crank out my last sales letter in a few days (only a couple hours each day) and it has already generated 5x the cost of the course from just 3 emails! I show inside the course and how I used the course to create this letter in this YouTube video here. Most copywriting courses cost thousands upon thousands of dollars... This one is cheap, but effective! Click here to get the copywriting course and sales letter templates, now. 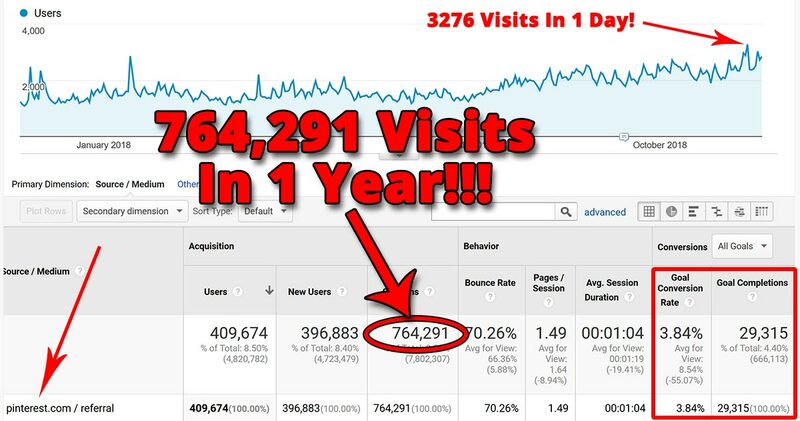 How would your online business be doing with an extra 764,000+ organic website visits and 29,315 opt ins, in the next year? That is exactly what Pinterest delivered for my wife's site last year! Check the screenshot. Pinterest is our #1 source of social media traffic CRUSHING Facebook and Instagram. The best part? Pinterest users are wealthy and known buyers! BINGO! This is one of my favorite traffic sources. Notice in the graph, how it shoots upwards from about July? Ya, that is when we took this course and began implementing her strategy. It is a change from what we were doing and our reach, engagement and traffic are growing massively, month over month because of it! If you want to learn how to get massive traffic from Pinterest, get the course we are following and implementing, by clicking here. Another HUGE benefit here is our virtual assistants and designers in the Philippines do all of the 'work' around our Pinterest marketing strategy, so it is 100% outsource-able! ​This course most closely teaches the exact process my wife and I used to build our website, our audience and our income... From the ground up on a tight budget. If you are just getting started or looking for a step-by-step guide for making money online as an affiliate (that can grow into a product creator or membership program) this is it. This course is by the Authority Hacker team and they are trustworthy practitioners who leverage these techniques in multiple verticals including the health and wellness niche, the golf niche and more. So they aren't just teaching 'ideas' they found and re-packaged from a forum... They are teaching you exactly what works and what to do in an organized and step-by-step fashion. In addition to their super-detailed tutorials, you get access to their Facebook group for ongoing advice and support as you move through the course modules. 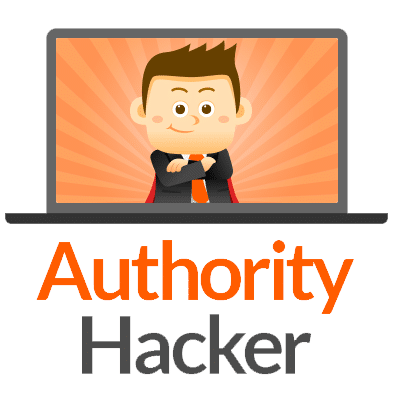 This access to their team and to the other authority site creators is a powerful way to stay connected and keep motivated as you push through to build your first profitable website. I personally have access to this product and their more advanced Pro level course and have received great value from it. They really helped me dial in my gameplan for taking my video content and leveraging that to grow this blog that is now receiving over 1000% more traffic than it was before! Start by watching the free webinar that looks at a The Authority Site System case study by clicking here. ​Nowhere is the power of the story more evident than in Hollywood. Michael Hague is a professional script consultant who helps the biggest names and movies in Hollywood. He coaches screenwriters, producers, stars, directors on how to make their stories and characters more engaging for the viewers. When Will Smith wasn't satisfied with the new Karate Kid script and how the 'hero' of the story didn't tug at the audience's heartstrings... He called Michael Hague! And those changes made that move an absolute HIT! A few years ago, Michael got discovered by a handful of internet marketers and was brought into some high-end marketing seminars to coach internet marketers about how to leverage the power of story in marketing. From here, Andre Chaperon found out and started hiring him for coaching on his autoresponder sequences. Shortly thereafter, Andre and Michael did a paid webinar together that completely changed my perspective on marketing and storytelling... I had always heard 'stories sell' but this was the first time I got a real formula to follow and it has revolutionized my main business incorporating this into my videos, blog posts, emails, and autoresponders. If there was a 'secret weapon' for some of the best marketers out there, it is effective storytelling and you can learn how to become a great storyteller here. Russell Brunson is a great marketer and potentially one of his greatest contributions to the marketing world is his Perfect Webinar system and scripts. For anyone doing webinars, this is the 'must have' course that will lay out a very specific script, setup and close that creates amazing conversions on live webinars. Personally, I have purchased to this course now and am studying it because my wife and I plan to being offering webinars here in the near future. With that said, I have very good friends in several different niches who are using this exact system and script with amazing results. Webinars are best for selling products valued at $300 to $1000 and they have resulted in one of the most powerful leaps forward in marketing in a long time. It combines the power of platform selling with the ease of the web and results in a powerful experience for your visitors and often generates a significantly higher conversion rate than a traditional sales letter or video sales letter. The feedback you are able to get in the comments section during the webinar also allows you the ability to tweak your approach, handle objections and adjust your product as needed, in real time, further helping you increase conversions through webinars. 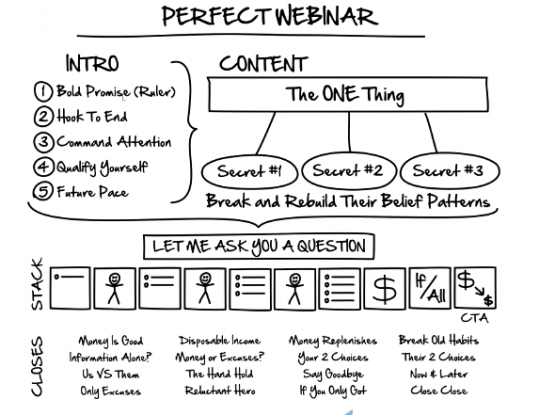 Learn more about how to run profitable webinars, here.